Welcome to the Mometrix Academy HESI A2 page. Are you hoping to enroll in a nursing school? If so, you may very well be required to take the HESI A2 exam as part of the application process. If you’ve just recently heard about this test, and would like to know more about it, you’re in the right place. On this page, we’ll explain everything you need to know about this important exam. If you’re already familiar with the test, and you’re looking for HESI test prep help, you’re also in the right place. Just below, you’ll find links to a wide variety of free review videos and practice questions that can help you get a great score on the HESI A2 test. What is the HESI test? What’s the test all about? Well, let’s start with the name – HESI stands for Health Education Systems, Inc., and A2 stands for Admission Assessment. The test is also known by a wide variety of other names, such as the Evolve Reach, the Evolve Reach A2, and the Evolve Reach HESI. However, most people just call it the HESI test. It’s not the name that’s so important about this exam, but what it does. Mometrix Academy is a completely free resource provided by Mometrix Test Preparation. 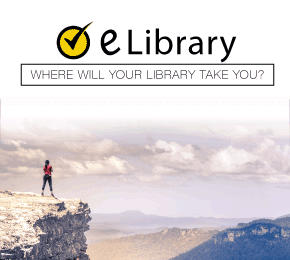 If you find benefit from our efforts here, check out our premium quality HESI A2 study guide to take your studying to the next level. 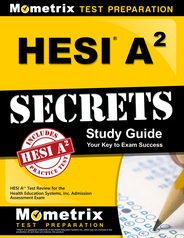 Just click the HESI A2 Secrets Study Guide link below. Your purchase also helps us make even more great, free content for test-takers. steadily rising population in the United States, the demand for healthcare workers in all fields is growing, including nursing. In addition, the number of people interested in nursing careers continues to grow every year. However, colleges and universities haven’t added many nursing programs in recent years. Creating and developing a new nursing program takes years and years, and tens of millions of dollars. Making the problem worse, qualified nursing instructors are very hard to find. For all these reasons, there aren’t nearly enough open slots in nursing programs to allow everyone who wants to attend nursing school to do so. On top of that, many people who apply to nursing schools simply aren’t qualified for the academic rigors of a nursing education. Due mainly to these two factors, colleges and universities need some screening tools in order to determine which applicants are the very best candidates for their programs. Of course, one of the two main factors they use in making their admission decision is the applicant’s high school GPA, or grade point average. It’s simply a fact – the better you did in high school, the better your chances of being admitted to a nursing program. The other factor is the HESI exam. A set of great HESI scores, in combination with an excellent academic record in high school, gives a person an excellent shot at getting into nursing school. In fact, excellent scores can help make up for a less than stellar high school GPA. That’s because the test is specifically designed to predict which test takers have what it takes to succeed in a nursing education program. So when you sit down and finally take the HESI, you want to make sure you’re absolutely prepared to do well, because your results truly can make or break your chances of being accepted. 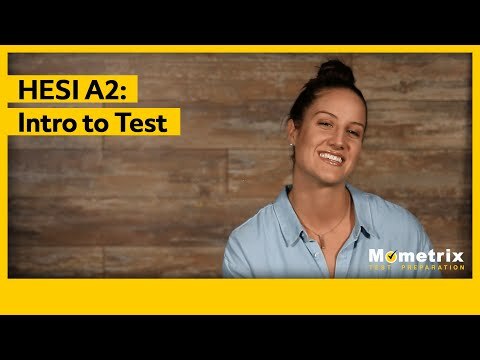 What is the HESI A2 Test? What’s the HESI Admission Assessment Exam Like? The HESI is different from many standardized admissions exams in its format. With most college admission exams, such as the SAT or ACT, every person takes the same basic test. There are different versions, to prevent cheating and for research purposes, but with most standardized exams each test taker will see the same kinds of questions, and will have the same time constraints. With the HESI, though, colleges and universities have a lot more flexibility. There are seven main components that make up the full exam, and schools can choose which ones they want their applicants to take. They can also set their own time limits for each part of the test, although many nursing schools use the time limits recommended by Elsevier, the company that develops the HESI. What’s on the HESI Exam? The seven tests fall into three categories – English, Math, and Science. Here are the seven tests, the number of questions for each, and the recommended time limit. On each of these sections, there will be five questions that don’t count toward your score. Elsevier uses these five experimental questions for research purposes, with the goal of improving future versions of the HESI. However, you should do your best to answer each question correctly, as you will have no way of knowing which ones are experimental and which ones aren’t. You should also be aware that there are rumors that Elsevier may be adding a physics component to the HESI exam in the near future, but as of this writing, Physics is not part of the test. Finally, although it’s not a part of the HESI A2 itself, there is a companion test that more and more nursing programs are using in addition to the HESI. It’s called the HESI Critical Thinking Exam. You’ll want to check with the schools you’re applying to in order to find out if you’ll need to take this test. How Do I Register for the exam? Where Do I Take It? In most cases, the nursing school or program you’re applying to will handle the actual administration of the HESI exam. It will be up to them to determine which of the various sub-tests you’ll take, what the time limits for the various tests are, and where you’ll take the exam. They’ll also determine the fees you’ll pay to take the HESI A2. In many cases, you’ll take the test right on the college campus. All of this information should be available on the nursing program’s website. If it isn’t, call or email the nursing department of the school to get the information. Can I Retake the HESI exam? This is another matter that is up to each school to decide for itself. Most schools allow at least one re-take if a person isn’t satisfied with their score. However, there is often a waiting period that must be satisfied before attempting the exam again. Some schools allow more than one retake, but only so many within a calendar period. Ideally, you’ll do your very best on your first attempt and won’t need to worry about retaking the HESI. There are no official passing scores or failing scores on the HESI exam. Each nursing school or program sets its own standards for ranking scores on each subtest. Generally speaking, though, any score below 75% is considered to be an indication that the applicant is not academically ready for the challenges of nursing school in that area. A score in the range of 75% to 79% is considered to be in the bottom range of acceptable, but an applicant whose score falls in this range will probably need quite a bit of help to succeed in nursing school. Scores from 80% to 89% indicate that the applicant should be able to graduate from nursing school with only minimal academic assistance. A score of 90% or higher is a sign that the test taker is very likely to do well in nursing school without any academic assistance. Making great scores on the HESI A2 can make a huge difference in helping you secure admission into a nursing school program. Conversely, a poor or even so-so showing can ruin your chances of being accepted into a program. While it’s true that in most cases you’ll be able to retake the exam at least once if you do poorly, that doesn’t necessarily mean you’ll do any better the second or third time. Generally, people who retake the HESI will have an entirely different version of the test on their retakes, and won’t see any questions that they’ve seen before. So trying to go home and review specific questions you’ve failed won’t work. 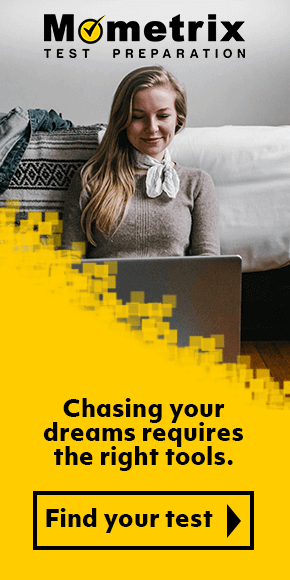 So you’ll need to put in some serious study before taking it again, which can mean missing the start of a semester and being forced to delay the start of your nursing education by several months, or even longer. The best plan is to review regularly and thoroughly, starting well before your HESI A2 test date, and then, with a few weeks left to go, take a practice test to find out where you stand. This way you’ll be able to discover which areas you need to brush up on while you still have time to make serious improvements. By doing so, you’ll be in excellent shape to make an outstanding score when you take the actual HESI A2. Mometrix Academy is a completely free resource provided by Mometrix Test Preparation. If you find benefit from our efforts here, check out our premium quality HESI study guide to take your studying to the next level. 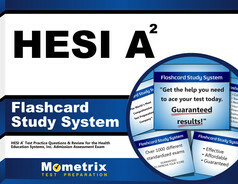 Just click the HESI A2 study guide link below. Your purchase also helps us make even more great, free content for test-takers. *HESI is a registered trademark of the Health Education Systems Inc., which was not involved in the production of, and does not endorse, this product.